Drone photo of the Broadview Stockpile showing the shaft. This ore was hand sorted. On-site ore concentration will dispose of the waste and produce a highly concentrated saleable product! At Thor, there are a number of high-grade stockpiles lying at surface. The ore was extracted 50-100 years ago and lies on surface where it is easily accessible for processing. In 2014 multiple stockpiles were trenched, assayed and tonnage estimates were compiled. There are several other stockpiles at Thor, including the St. Elmo, Blue Bell, and corollary Broadview stockpiles that have not yet been added to the resource. 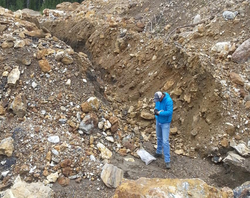 Taranis has submitted a Joint Environmental and Mines Act permit application to extract a bulk sample of polymetallic ore from the Thor property. 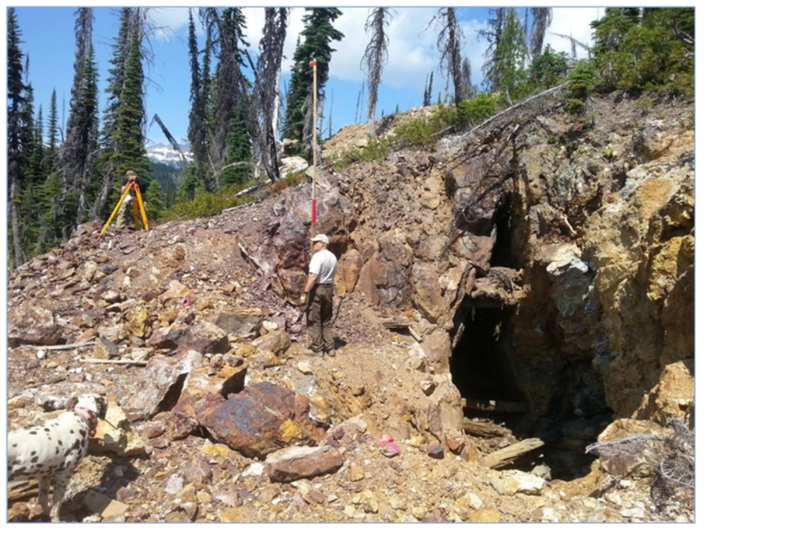 Since the stockpiled ore at Broadview and True Fissure totals approximately 10,000 t, is readily available, and is a facsimile of the in-situ deposit, the bulk sample will be a critical step in the development of a fully producing mine at Thor. 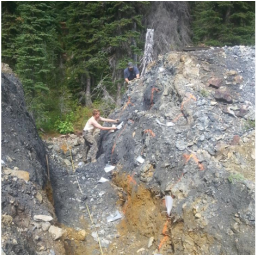 Stadia surveying of the Broadview stockpile to accurately determine the volume of ore resting on surface. The Broadview stockpile is the highest grade stockpile found at Thor, and was mined in the early 1900's. Sampling the century old, high grade Great Northern stockpile. The Great Northern adit was explored in the early 1900's and much of the high-grade ore was dumped on surface at the mouth of an adit that extended into the zone. Independent Qualified Persons have verified the grade and size of the stockpiles ahead of bulk sampling. 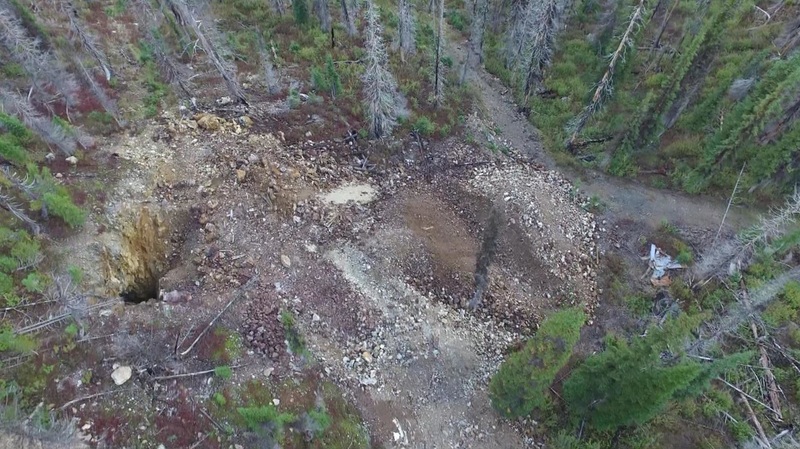 The True Fissure stockpile is by far the largest on the property, and was established in about 1973 by a mining company that attempted to process the True Fissure portion of the deposit. Much of the material resides at surface after the mine closed down.